In Central PA, we have been advised, get ready. It's hard for me to believe that Sandy will take a sharp left curve into the central PA area and then head straight up. But, that's why I'm not a weather person. However, we have understood the warning and have prepared as best we can. All of the outside Halloween decorations are down. The outside furniture is now in our downstairs. 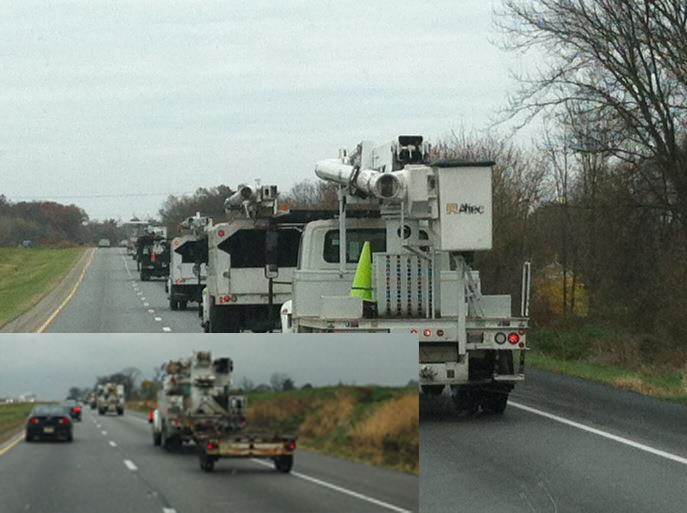 Friends on facebook that have been on the PA turnpike have photographed the lines and lines of tree removal trucks and out of state electric trucks heading this way. Thanks guys! 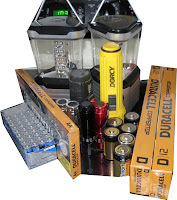 Luckily, I found a bunch of batteries in the house and just happened to pick up more on Friday. I was wondering why the wholesale club was so busy on Friday. If that's not enough, we surprisingly bought a generator over the summer this year since our power tends to go out. Hopefully it won't be needed. Now the dogs... they don't care.. They are lazy lazy old ladies. 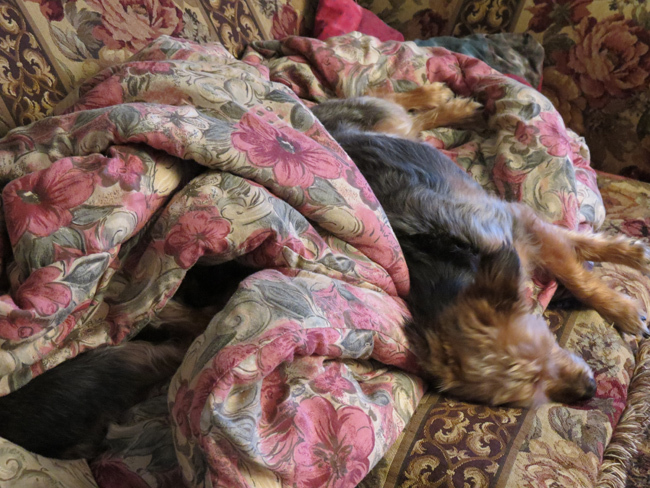 They take over the couch and won't settle down until their banky is on the couch. Demanding in their older 10yr old age. I'm keeping the rest of my east coast friends in my thoughts and prayers. Especially those near the coast! We're watching this storm from way down here in NZ. Having gone through a series of devastating earthquakes in the past 2 years I appreciate the anxiety and stress you must be under as you wait. Well done on being so organised. We may not be able to prevent these types of emergencies but we can plan for them and thereby get through them. All the best for the next few days. Hunker down, stay safe. Good luck.